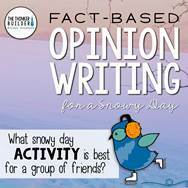 Students often think of "fact" and "opinion" as polar opposites. Wait a second, aren't they? 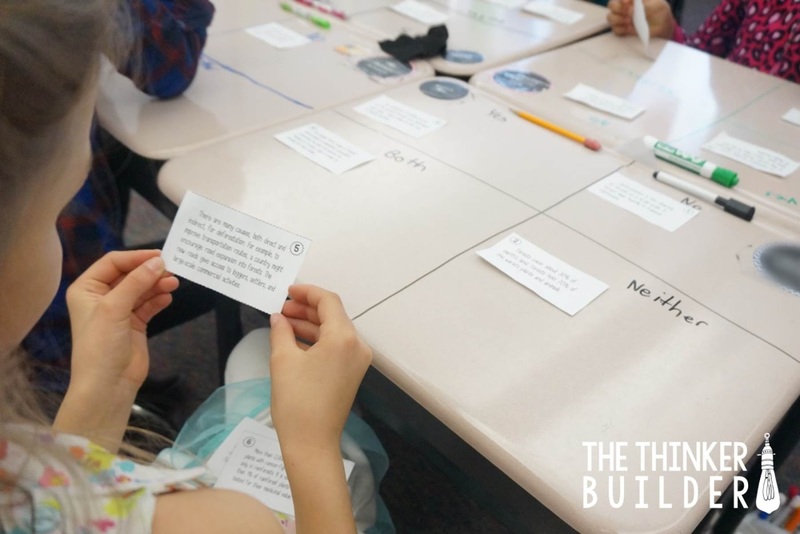 Sure, we grind it into students' heads teach students to tell the difference between a fact and an opinion, but what about the important bond they have? Bond? James Bon-- err, no. 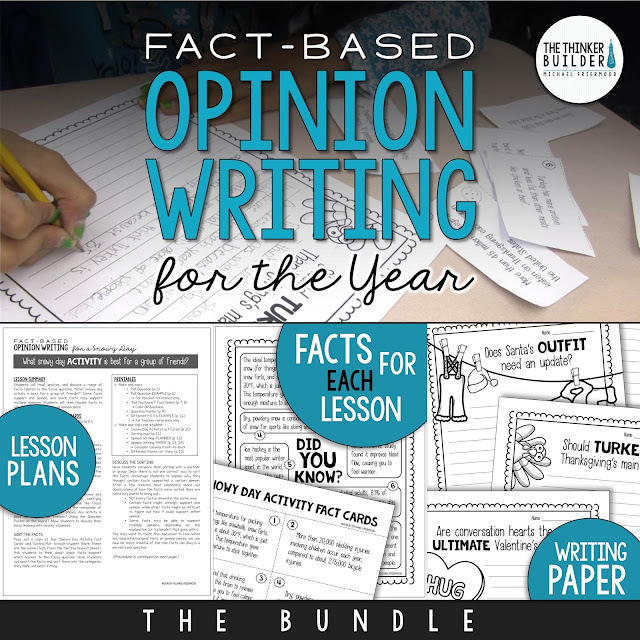 As students move into persuasive and argumentative writing, we need to show them the powerful relationship a fact has with an opinion, one in which facts can serve to support and strengthen an opinion. Let's dive into an example. Yes, because reading helps you learn things. No, because kids should get outside and play as much as they want during the summer. 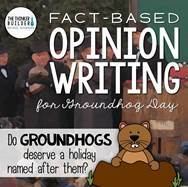 Yes, kids should read every day during the summer because reading helps you learn things. 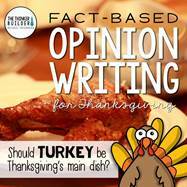 For example, I learn lots of new things when I read nonfiction books on topics I like. If you read every day, you will surely get a lot smarter. 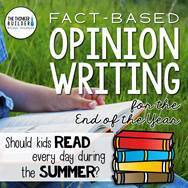 No, kids should not have to read every day during the summer because they should get outside and play as much as they want. The weather in the summer is warm and there are plenty of things to do. For example, I go swimming, play basketball with friends, ride my bike, and play in my tree house. If kids have to read every day, they might miss out on opportunities to play outside. Yes, kids should read every day during the summer because reading helps you learn things. 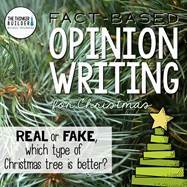 For example, I learn lots of new things when I read nonfiction books on topics I like. 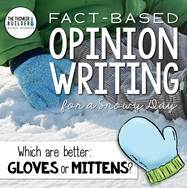 One study even found that the more pages students read per day in the summer, the better the students did on a national test. So, if you read every day, you will surely get a lot smarter. No, kids should not have to read every day during the summer because kids should get outside and play as much as they want. Only about half of kids get at least 60 minutes of daily physical activity during the summer, so instead of requiring kids to read every day, let's focus our effort on getting kids to exercise every day. The weather in the summer is warm and there are plenty of things to do. For example, I go swimming, play basketball with friends, ride my bike, and play in my tree house. A relevant, well-explained fact is powerful. 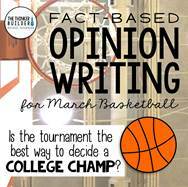 It makes an argument more substantial, more authoritative, more persuasive. 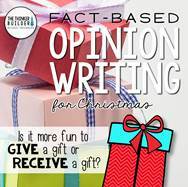 At least, I know what I was thinking every time I wanted students to find facts to help support their opinion: I was thinking how "research" is a whole ball of wax itself. 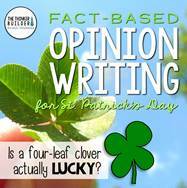 I couldn't just tell my students, "Hey, go find some facts," and expect good, reliable results. So I had to pick and choose when we had the time to do the research. 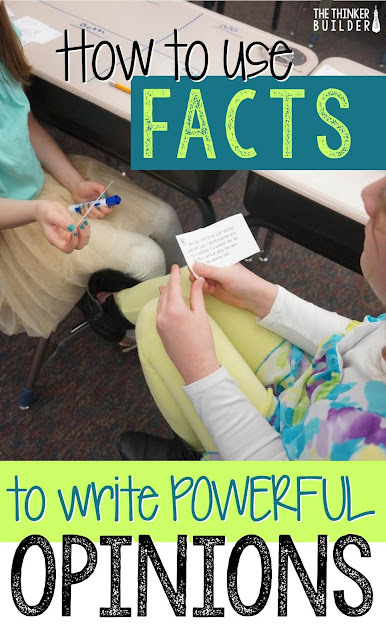 While good research skills are clearly important, and there were times when putting the time into developing those skills was worthwhile, often I found myself wanting to focus our energy on the writing. 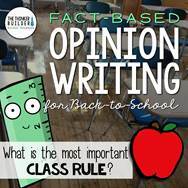 I thought, if I could already have a supply of relevant facts for our writing topic, we could really zoom in on how to use the facts to write powerful, well-supported opinions. 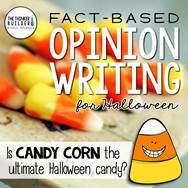 This is exactly why I created my Fact-Based Opinion Writing activities. 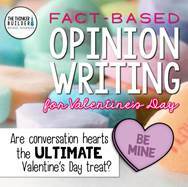 The research is already done for an engaging issue, from which a careful selection of facts has been sifted out, so teachers can focus their writing instruction on the writing, not always the fact-finding. 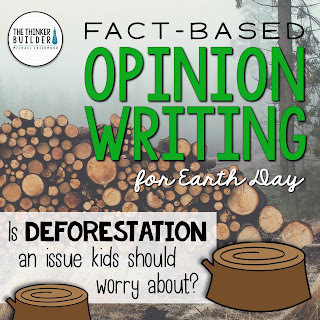 I recently used my Fact-Based Opinion Writing activity that deals with the issue of deforestation. The focus question for this activity is: Is deforestation an issue kids should worry about? 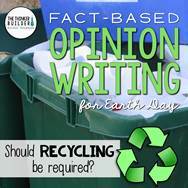 With Earth Day approaching, it was the perfect topic to dig into. In this case, students did not have much personal experience related to the issue of deforestation, so the facts that I read and discussed with them gave a solid base of knowledge from which their opinions could form. 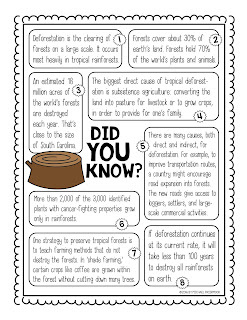 After introducing eight facts related to deforestation, I gave students a sheet of the same facts, this time arranged in cards, for them to cut out and sort. 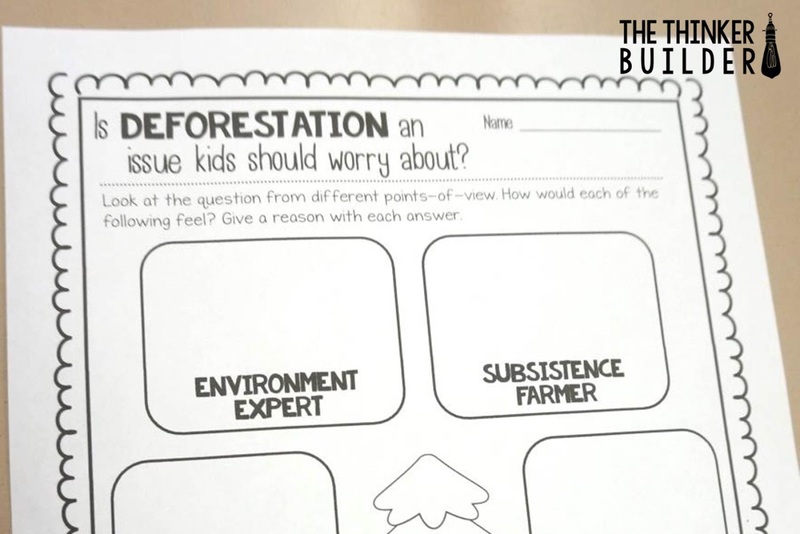 Students worked with a partner to analyze the facts and sort each one by which opinion it would best support: either YES, deforestation is an issue kids should worry about, or NO it isn't. 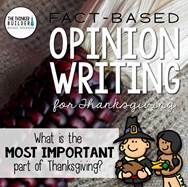 Since some facts could support both opinions, students had a category for this as well. For example, one fact states that if deforestation continues at its current rate, all rainforests will be destroyed within 100 years. Some students thought, wow, 100 years, that's like forever. 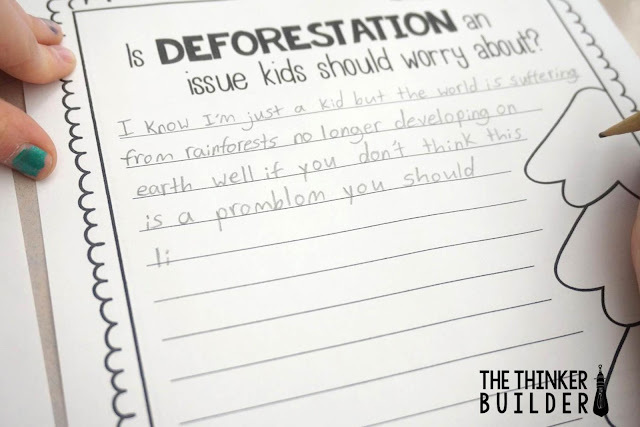 Kids don't need to worry about deforestation yet... maybe our grandchildren will need to worry about it. And other students thought 100 years is not much time, so kids should be concerned. 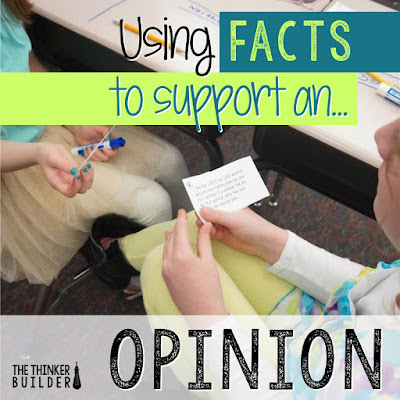 After students had the chance to sort the facts, we shared and discussed where we placed them, often finding differences, sometimes coming to a consensus, all of which forced students to think hard! 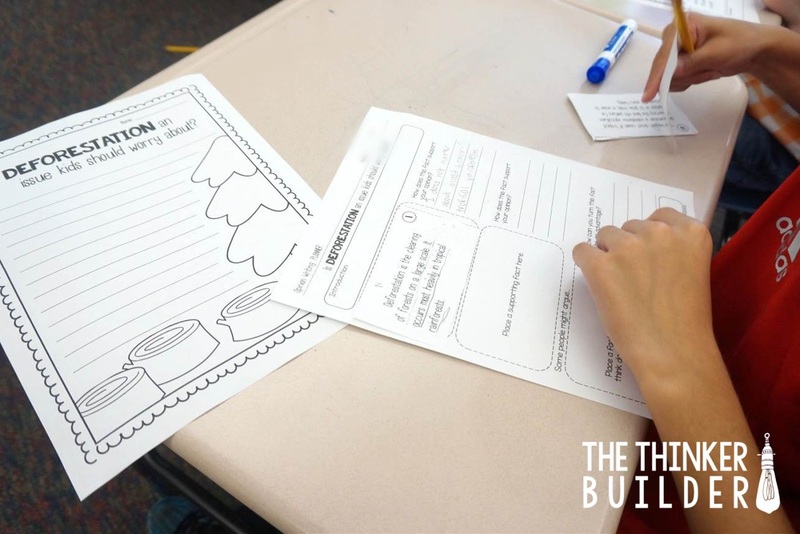 I then gave students a planning organizer to begin developing their opinion. 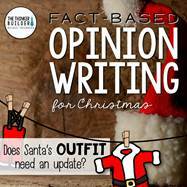 They chose two facts that would help support their opinion to the focus question, as well as one fact to use in a counter-argument (e.g. Some people might argue... but...). 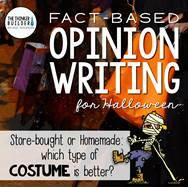 Finally, students used their plan to write their opinion piece. 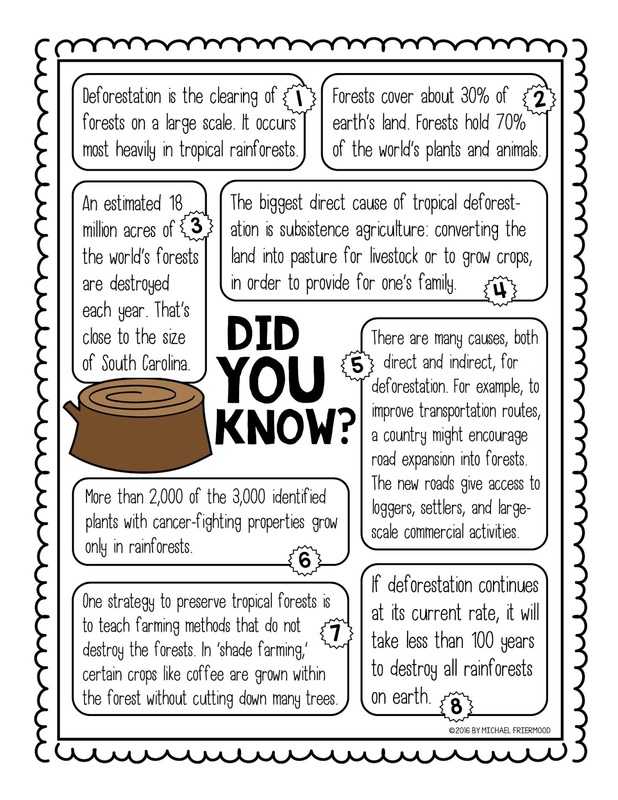 As an extension, we also tried to get out of our own shoes and look at the issue of deforestation from other points-of-view, like a subsistence farmer, or someone who works for a logging company, or a doctor who uses medicines derived from rainforest plants. This ENTIRE activity is available for you, completely free, by downloading it from my TeachersPayTeachers store. Click HERE or the image below to go get it! 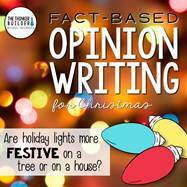 You might also want to check out some of my other seasonal and holiday-related Fact-Based Opinion Writing activities. Click on any image below for details. 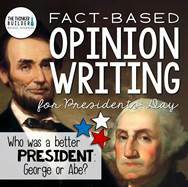 One of my favorite byproducts of these resources is the thoughtful discussions that are sparked from a close, objective look at the facts, determining which side of the argument each one could support, regardless of our own personal opinions that were forming. 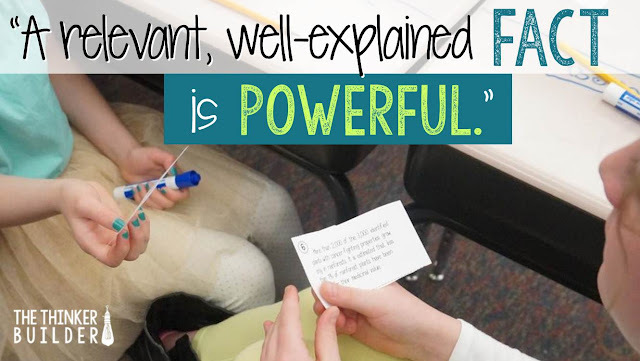 Whatever resources and methods you use, teaching students how to explain and support their opinions is a process, one that gets more complex as students get older, but one that is truly meaningful to their lives.